Drawing from a variety of Hegel's writings. Shannon Hoff articulates a theory of justice that requires answering simultaneously to three irreducibly different demands: those of community, universality and individuality. The domains of "ethicality." "legality and "morality" correspond to these essential dimensions of human experience, and a political system that fails to give adequate recognition to any one of these will become oppressive. 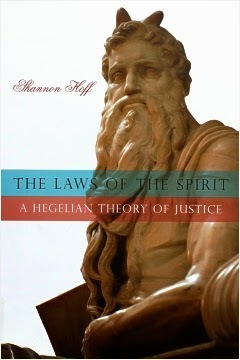 The commitment to legality emphasized in modern and contemporary political life, Hoff argues, systematically precludes adequate recognition of the formative cultural contexts that Hegel identifies under the name of "ethical life" and of singular experiences of moral duty, or conscience. Countering the perception of Hegel as a conservative political thinker and engaging broadly with contemporary work in liberalism, critical theory, and feminism, Hoff focuses on these themes of ethicality and conscience to consider how modern liberal politics must be transformed if it is to accommodate these essential dimensions of human life.